My dad recently sent over President Obama’s 2016 summer reading list (seen above) and it inspired me to make my own! The end of August is fast approaching so I wanted to share the books I read this past summer. I had a small vacation at Lake Tahoe that lent itself to some dedicated reading time but I’ll say that I didn’t really have many extra opportunities that really felt like summer. It has also been pretty cold in San Francisco! Leave a comment to let me know what you read this summer!! A fun collection of interviews from throughout Apatow’s life. It includes ones that he did as a teenager, learning about how to get into the comedy world and transcriptions of national television appearances. Sarah Silverman, Louis C.K., Jerry Seinfeld, Michael Che, Amy Schumer, his wife Leslie Mann and more talk about their inspirations, thoughts on re-using material and of course, hilarious tangents as well! Poems from Reginald Dwayne Betts dealing with the time he spent incarcerated, his journey since his release and the failings of the justice system as a whole. I have yet to read Betts’ memoir but the poetry was a very refreshing medium for me to continue reading about a subject I am so interested in. A thorough look at how the United States rental systems enforce and create cycles of poverty that are almost impossible to escape. I suggest you check the full review I wrote for here! Hughley’s satirical conversation between every major political player of the past decade provided some fantastic perspective as we head into the 2016 election. I was surprised to realize just how many specifics I had forgotten. This was an easy read, very entertaining and also, as I said, a great refresher on the details of our recent political history. A fantastic collection of reality-bending short stories from Israeli author Etgar Keret. They were fun, challenging and encouraging; Keret has certainly placed himself on my list of authors I’ll keep my eye on! Death of a King is a very unique take on the preservation of King’s legacy and the way we tell stories. Through many interviews and extensive research, Smiley attempts to put us in King’s head for a present tense recap of his final 12 months. Although the author is forced to make assumptions and educated guesses, because no one REALLY knows, he does a good job of portraying how diverse King’s problems became at the end of his life. 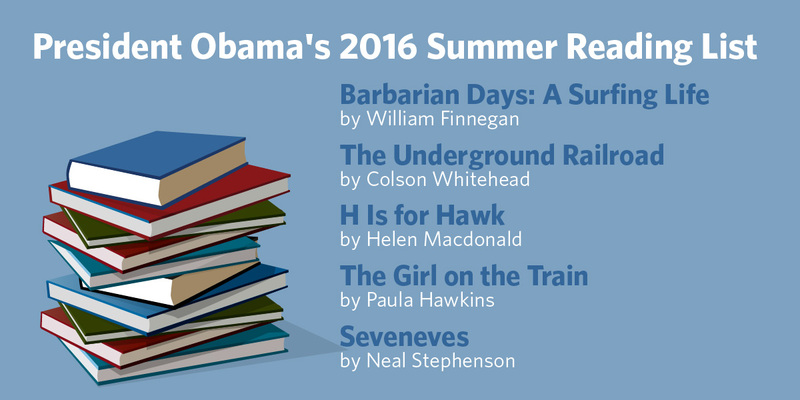 Excellent summer reading list, Benja, more so than Obamas. (Although he did have a nice mix and I’d like to ask what he thought of ‘H is for Hawk’, a strange choice really.) I love your passion for these compelling subjects. Thanks! I am also curious about Colson Whitehead’s latest. it has received a LOT of attention lately.